To Oslo then — thanks to an Erasmus exchange with a British university. After a week in the Norwegian capital, I learnt that photojournalism is alive and well in Scandinavia, you can buy a pint for less than £10 and knitting is actively encouraged in the front row of Nordic lecture theatres. But, most of all, I spent a couple of days teaching features classes and running a travel-writing with some very smart Norwegian students. They rose to the challenge to write travel features in English and came up with some great story hooks. 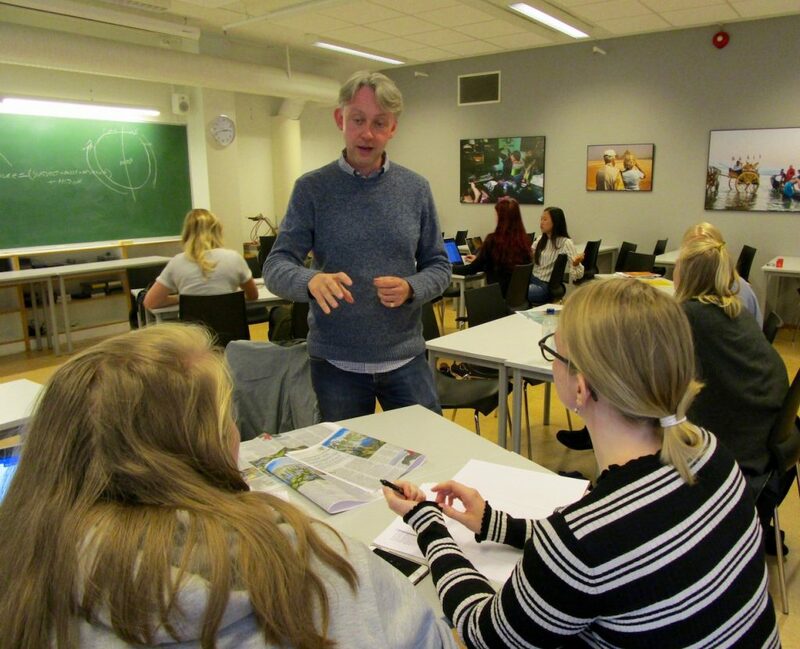 My time at Oslo and Akershus University College of Applied Sciences (HiOA) was a chance to reflect on my own teaching and see how lecturers do it in other countries. The students [pictured above] seemed to enjoy it, too, and I had some good feedback about engaging learners through my communication. I’m hoping to make the exchange between the UK and Norway into a regular event. Watch this space.